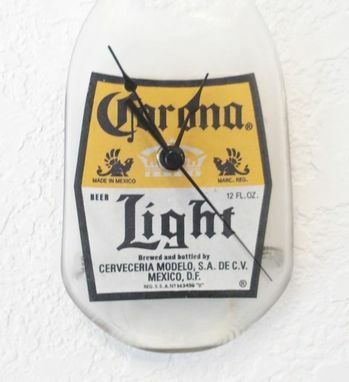 Nothing spells "bromance'' like booze-related paraphernalia; add a keg of brotherly lovin' to any space in your crib with the iconic Corona Light Beer Bottle Clock. 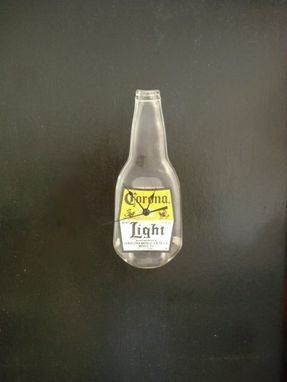 The old-school Corona label set on a translucent bottle silhouette perfectly balances out the minimal clock hands for funky form and function. 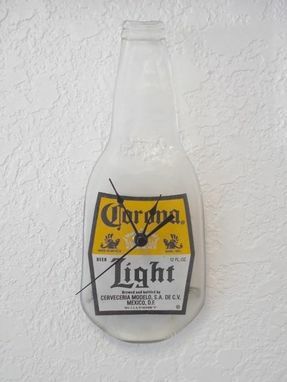 It can be the crowning glory to a wall full of framed basketball jerseys, electric guitars, and/or stuffed animal heads; or the sole reminder of your unwavering commitment to the brew and all it entails. 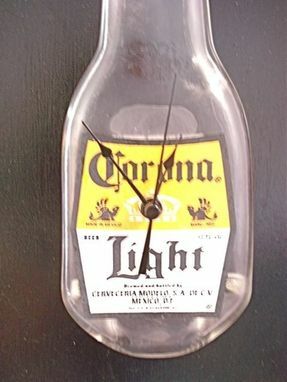 The bottle clock measures 9 1/2'' x 3 1/2'', overall.